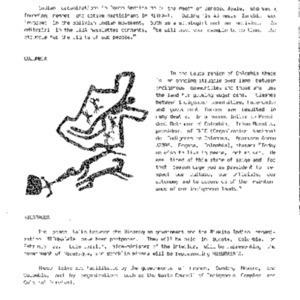 Peru, Bolivia, and a Quote from "From Conquest to Counterinsurgency"
"Bolvian President H. Siles Suazo has indicated that national elections will be called during the coming year. 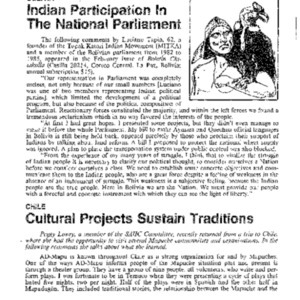 Indian organizations in South America mourn the death of Zenobia Ayala, who was a founding member and active participant in MITKA-1. 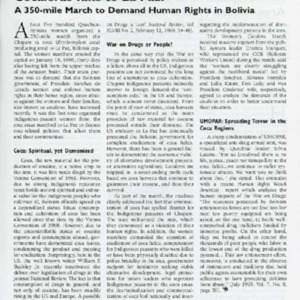 "until the Indian majority takes power and forms a government that represents the people, there can be no justice in Kollasuya, Bolivia." 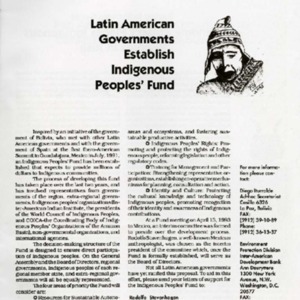 A collection of Latin American countries are in the process of trying to ratify a Indigenous Peoples' Fund. 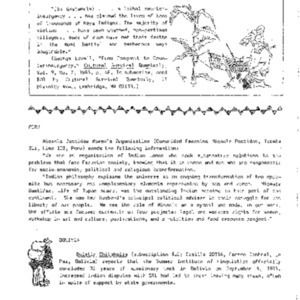 The decison-making structure of the Fund ensures direct participation on the part of Inigenous peoples. 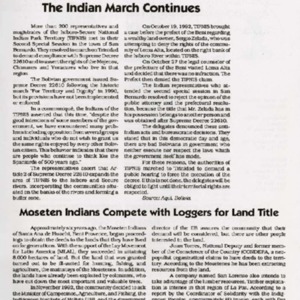 The Moseten Indians in Bolivia contend with logging companies for land previously deeded to them in 1880. 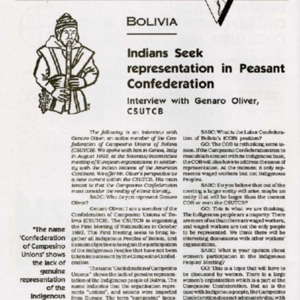 SAIIC interviews Genaro Oliver, member of the Confederation of Campesino Unions of Bolivia (CSUTCB). 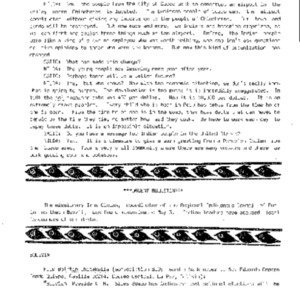 Genaro Oliver believes the organization must consider the reality of ethnic identity. 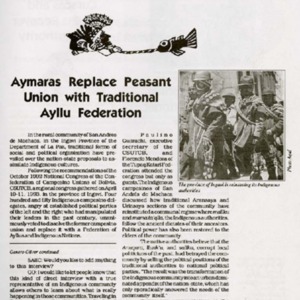 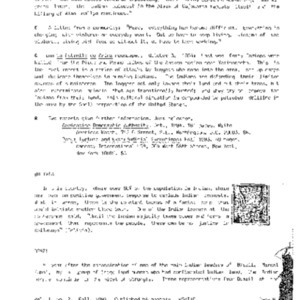 The Aymaras of San Andrés de Machaca in Bolivia, frustrated with politcal parties' manipulation of their leaders, dissolved the campesino union and replaced it with a traditonal Ayllu Federation. 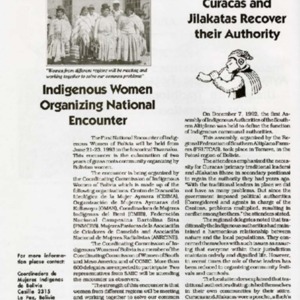 Indigenous leaders assemble to try to restore the power of Indigenous authorities.